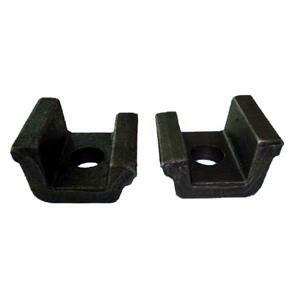 A rail clamp sometimes called rail clip or rail fixing clip, is kind of device used to maintain the lateral position of the rail, especially crane rail, but allow necessary longitudinal movement. 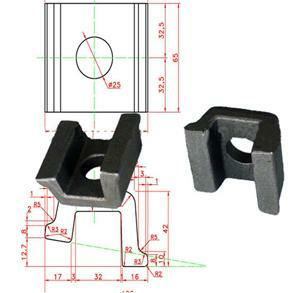 The rail clamp keeps the rail in position through the mechanical lock and at the same time, accepts the real longitudinal rail movement through the combined vulcanize-bonded synthetic elastomeric nose. 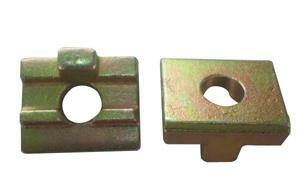 Rail clamps are always fastened onto the rail ties with anchor bolts. 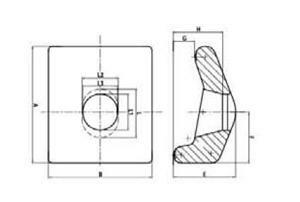 For types, boltable rail clamps and weldable rail clamps are main varieties. 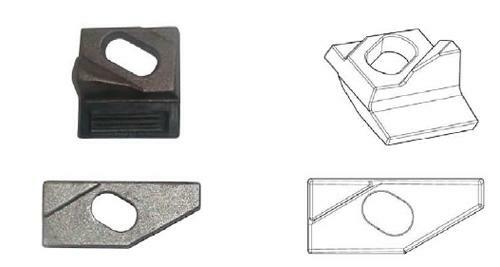 According to clients’ requirements, we can offer different kinds of rail clamps, among these clamps, for materials, Q235 by forging, ZG35 of cast steel and QT500-7-cast iron are top 3 choices, based on our former production experiences. 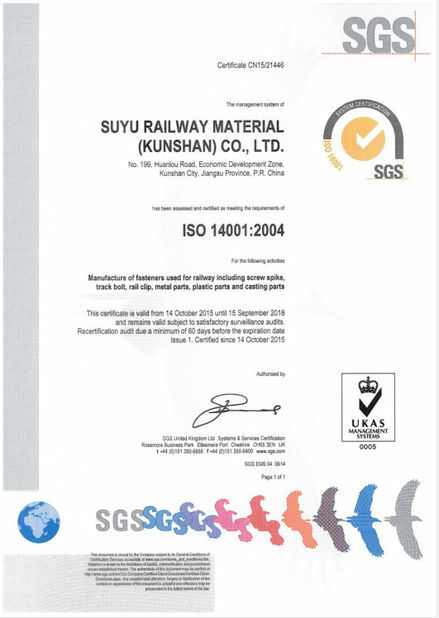 Double-layer woven bag+free-fumigation pallet; Steel Drum+Pallet; Wooden box; or upon customers' request. 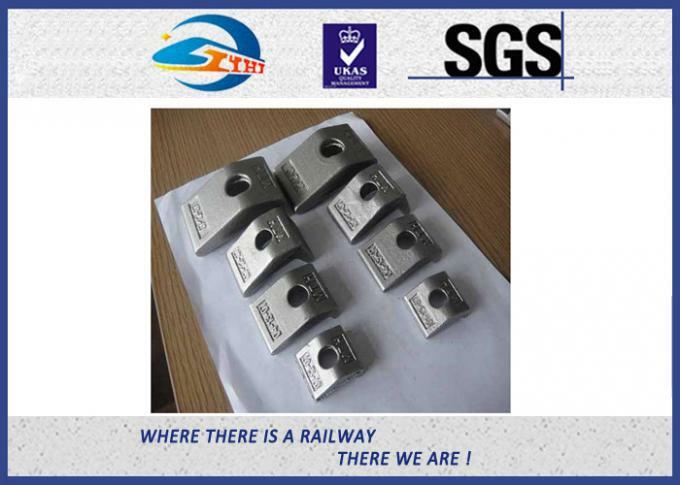 Crane clamps can make the rails to be installed with good tolerances, to ensure the rails’ precise alignment they must be adjusted. 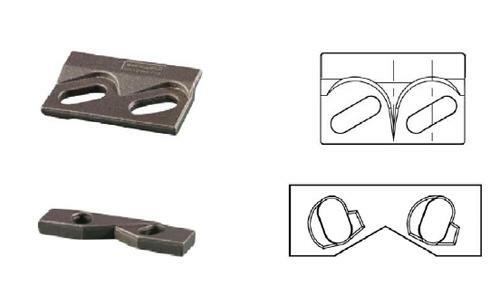 Our clamps are designed to carry the heavy load. 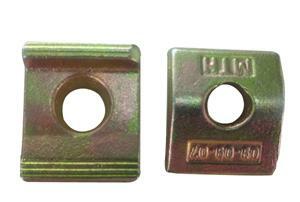 According to the end users’ needs the crane clamp can be bolted or welded for installation. 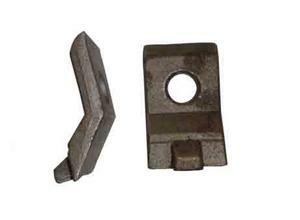 This type is a special design to secure and fix the rails with a rubber nose. 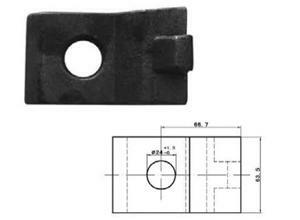 Such clamps can be used in different rail types through adjusting the height of the rubber nose. 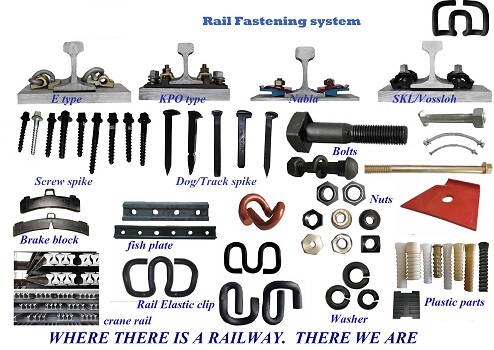 It is kind of boltable clip with high strength, KPO3, KPO6, KPO9 are more popular used in rail fastening systems by combining with ribbed tie plates, rail bolts and washers. 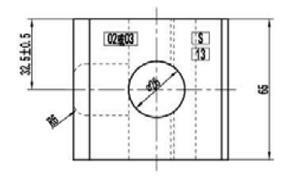 Other clamps according to customers’ requirements or drawings. 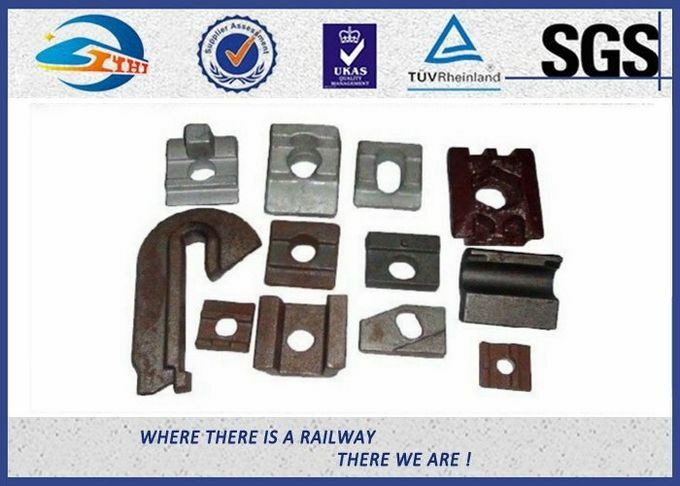 We are leading rail clamp manufacturer , We manufactures all types of rail clamps, In obedience with customers' altered requirements and necessities, we are indulged in presenting premium quality of rail clamps to the clients. 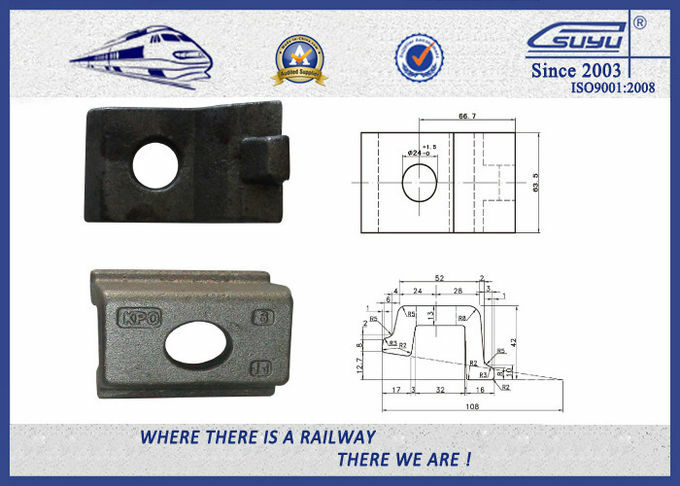 ZHONGYUE is professional rail clamp supplier in China, our rail clamps are developed by using latest technology and sturdy metal due to which these exhibit corrosion resistant finish, high performance and longer service life. 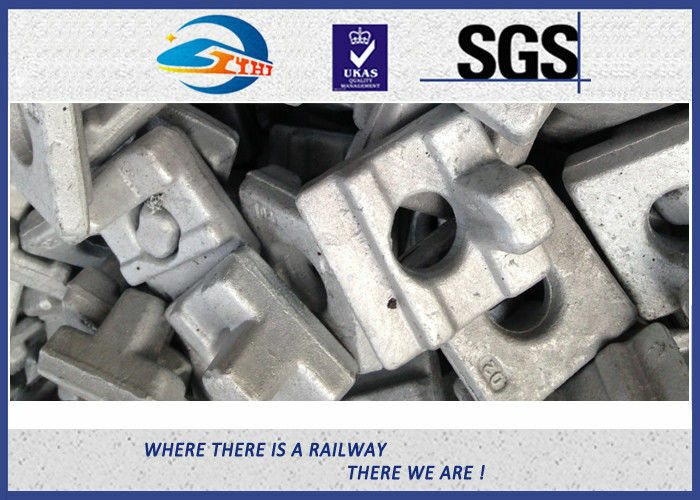 and rail clamps can be well used in the acid rain area due to protection level over 9.Before shipping to customer every time, all clamps need to pass the 120h test of sulfur dioxide. In addition our rail clamps with the most competitive price.